In an unpredictable economy, uncertainty makes it extraordinarily difficult for employers to know what kinds of talent they’ll need in the short- and long-terms. As a result, even if they promise their workers job security, they typically can’t deliver. However, for many employees, the end of job security can be a good thing. Job security used to be something only employers could provide, and employees had no control over the situation. But what if waiting for job security is a waste of time? What’s the alternative? 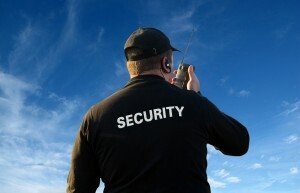 Instead of job security, consider career security. That is, the ability for workers to stay employed in jobs of their choosing, regardless of the economic situation in any one country or the financial situation of any one employer. Instead of hoping that, when a company is bought, moved, or reorganized, a job will remain intact, career security means lining up options with other employers in order to rise above the turbulence. Career security is something workers can create for themselves. 1. Get to know yourself and what you do the best, even if it isn’t something you necessarily love to do. Instead, it should be your underlying talent that is often employed by your passions. Everyone is imbued with a natural capability or talent, but only those who take care of it through skills development can achieve career security. However, to make a commitment like that, you have to know exactly what your talent is. 2. As employers have been forced to cut staff, they’ve become desperate for high-performing employees, so you need to arrive at work every day prepared to bring your full talent to the day’s tasks. 3. Work to keep your career strong. You can only feed your talent and use it to do your best work if you’re employed by the right organizations and in the right jobs. Career self-management by hoping for the best is a quick ticket to unemployment. On the other hand, proactively looking for opportunities where you can excel is the single best way to increase both your paycheck and your overall job satisfaction. Career security is a concept fit for the turbulent times we live in, despite the attractiveness of the traditional idea of job security. It has the power and the promise to position you for long-term career success. And even better, to get it you only have to rely on one source –the only one you can really count on: yourself.